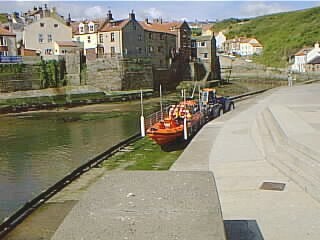 Some hours passed during which the Staithes Lifeboat and her crew located the stranded fishing boat and took it into tow. 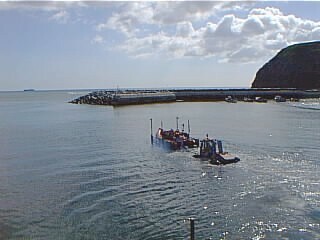 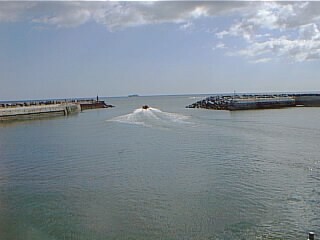 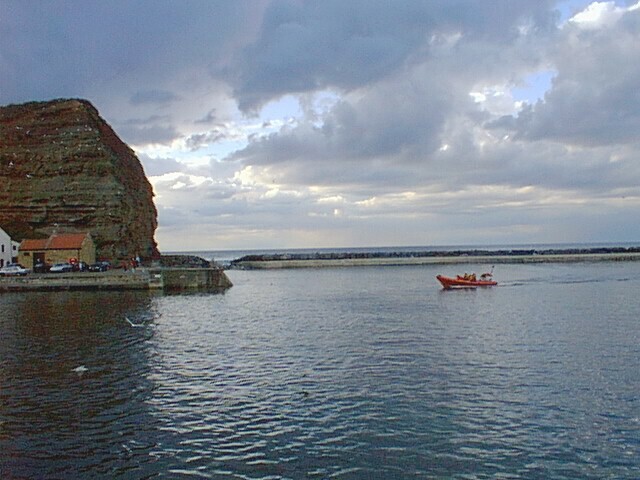 The fishing boat was towed back to her home port and the Lifeboat returned to Staithes. 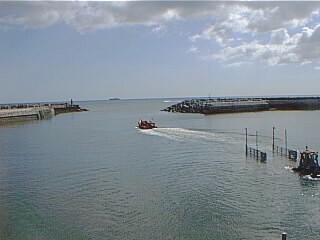 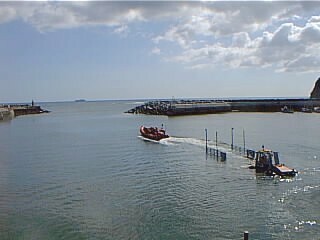 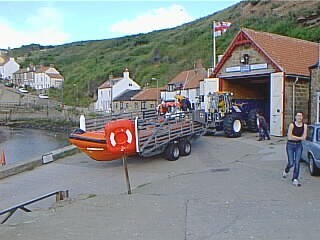 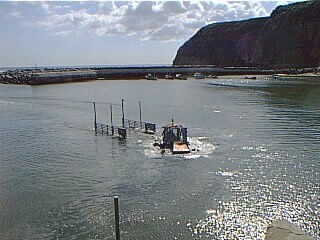 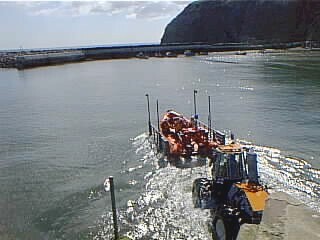 The Staithes Lifeboat, nearly home safe and sound with the Lifeboat Station and Cow Bar Nab in the background.